This is a great idea Dan. I also like the -nosplash flag. I just tried this on my workstation and it logs in okay, but I do not get the db, tables, etc. listed in the Object Explorer. Is that expected or am I missing something? While I'd prefer that it did connect to the Object Explorer automatically, I can live with manually logging in to it since I don't always need the Object Explorer. 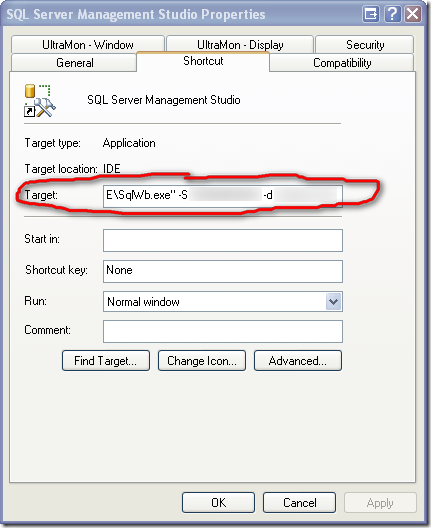 I tried downloading MS SQL Server management studio Express edition but it wont work. I think it has something to with me using Windows Vista. Any help would be greatly appreciated.